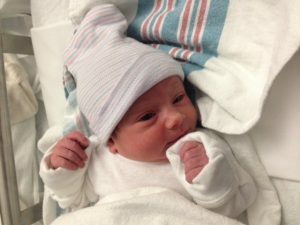 Meet the latest addition to the Beyer Carpet Cleaning Family …March 31, 2014 at 8:57pm weighing 5lbs 11oz baby Madison Elaine Beyer arrived. Beyer Carpet Cleaning is all about family. Family is why the Beyers opened Beyer Carpet Cleaning. To them it’s God and family first and always. Months after the Beyer families journey of opening Beyer Carpet Cleaning began Mrs. Beyer found out she was expecting baby Beyer #3. That moment was filled with happiness and wonderment. Mr. and Mrs. Beyer wondered how everything would work out with running a business and with a baby on the way. Of course it was difficult with the work load and stresses that come along with owning your own carpet cleaning company but it all worked out. Carpet cleaning in San Antonio was booming for the Beyers and Mrs. Beyer’s belly was slowly growing a little each day. As months past it was getting closer and closer to the babies due date so the Beyers began to prepare. They began to prep their business by catching up with inventory for carpet cleaning, tile and grout cleaning, and upholstery cleaning. They made sure their technicians were fully prepared to man things with them being in the hospital and made sure each customer was going to be fully take care of the Beyer way. At home they made sure the babies room was ready and filled with everything she would need upon her arrival. It was time to dust off the baby swing and clean their carpets and upholstery as well. 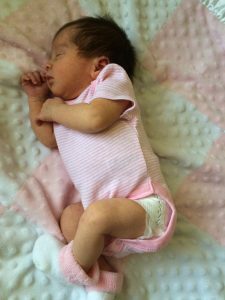 The Beyer family knows what is living in carpets and upholstery and wanted their baby to come home to sterilized cleaned carpets and furniture. Doctors had scheduled Mrs. Beyer’s c-section for April 7th and as that date quickly approached the Beyer family was ready. Well as everyone know things don’t always go as planned. The week before baby was due to arrive Mrs. Beyer began to have blood pressure issues so she was admitted to the hospital and test were ran. The tests came back positive for preeclampsia so for the best interest of mom and bay doctors decided to deliver baby Beyer that day. A couple of hours later on March 31, 2014 at 8:57pm weighing 5lbs 11oz baby Madison Elaine Beyer arrived. She is so beautiful and Mr. and Mrs. Beyer could not be happier. Their family is now complete with 2 girls and 1 boy. Big sister Jordan and big Brother Luke could not be more thrilled to have a little sister. They are constantly giving Madison hugs and kisses.